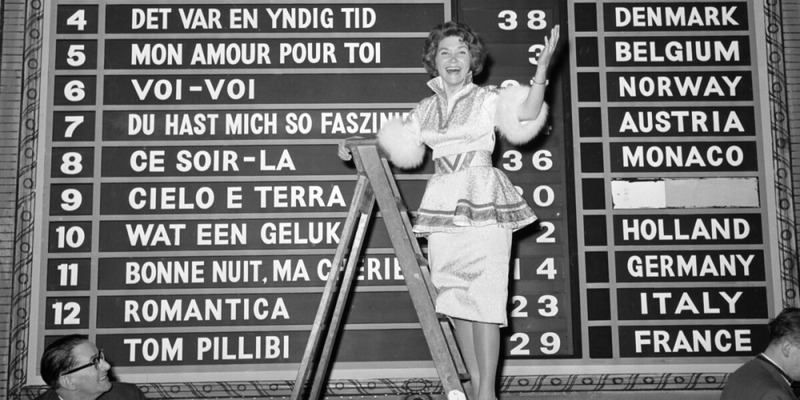 Since the first Eurovision Song Contest was held in 1956 the voting system has been continuously changed. It appears that EBU never gets completely satisfied with the voting system. Again, it is time to change it. A smaller change this time though. Since 2013 each participating country has a jury with five members. Each of the five jury members rank the songs from 1 (best) to 26 (worst). The combined ranking from a country's jury was a simple average of all the five member's rankings, where all the members rankings had equal weight. Each of the five jury members still rank the songs from 1 (best) to 26 (worst). The combined ranking from a country's jury is now calculated based on an "exponential weight model". The better a jury member ranks a song, the more weight it will have in the jury's combined ranking. In other words: The lower a juror ranks a song, the smaller the impact of that ranking on the overall result, while the higher a juror ranks a song, the more impact that ranking will have. If four jurors rank a song best, while the fifth juror ranks that same song worst, that could prevent that song from receiving 12 points from the respective national jury. With this change, the value of the group of jurors gets priority over the opinion of a single individual juror. Each country's jury will still award their top-10 songs points from the 12-scale: 1,2,3,4,5,6,7,8,10,12 points. The jury members from the 43 countries in this year's Eurovision Song Contest will be revealed on Monday 30 April at 12:00 CEST. Jury voting. Two-member juries from each country awarded two points to their favourite song. The voting has never been made public. Jury voting. Each participating country had 10 jury members, and each jury member awarded one point to one song. Jury voting. Each participating country had 10 jury members. Each jury awarded 1, 2 and 3 points. Jury voting. Each participating country had 20 jury members. Each jury awarded 1, 2, 3, 4 and 5 points. Jury voting. Each participating country had 10 jury members. Each jury awarded 1, 3 and 5 points. Jury voting. Each country had two jury members (placed in the backstage area of the theatre, watching the show on TV), and each jury member awarded 1 to 5 points for each song. Jury voting. Each participating country had at least 11 jury members (later rising to 16). Each jury awarded 1,2,3,4,5,6,7,8,10,12 points. Like previous years, except 5 countries used televoting (Austria, Germany, Sweden, Switzerland and UK). Televoting. Each participating country should use televoting. Televoting or 50/50 tele/jury. Each participating country had the choice between 100% televoting or 50% televoting and 50% jury voting. 50/50 tele/jury. Each participating country used 50% televoting combined with 50% jury voting from a five-member jury. The televoting were calculated to 1-8, 10 and 12 points, and the jury voting were calculated to 1-8, 10 and 12 points. The tele and jury points were then combined, and the top-ten songs were awarded with 1,2,3,4,5,6,7,8,10,12 points from each country. 50/50 tele/jury. Each participating country used 50% televoting combined with 50% jury voting from a five-member jury. The televoting and jury voting ranked all the countries (not just the top 10). The tele and jury points were combined, and the top-ten songs were awarded with 1,2,3,4,5,6,7,8,10,12 points from each country. Jury and televoting. Each five-member jury ranked the songs and the top-ten songs (linear method) got 1-8, 10 and 12 points. The televoters from each country ranked the songs and the top-ten songs got 1-8, 10 and 12 points. Same as previous two years except the jury member's individual rankings were combined using the "exponential method" (higher weights to higher ranked songs). If two or more songs gained the same points, they would share the position. In 1969 there were four winners! If two or more songs shared the first place with the same points, each of these songs should be performed again, and a second voting would take place, where each jury should vote for one of the final songs. If two or more songs tie but not for first place, they would share the position. If two or more songs shared the first place with the same points (as it happend in 1991), the best of these songs was the song which received the highest number of 12-point scores, then the highest number of 10-point scores, 8-points scores, etc. If still tied, both countries would be declared joint winners. If two or more songs tie but not for first place, they would share the position. Received the highest number of 12-point scores, then the highest number of 10-point scores, 8-points scores, etc. The scores of the voting have never been made public, leaving room for lots of speculation. Attempts to reconstruct the voting by interviewing jury members over the following five decades did not lead to any reliable outcome. Each country presented all their votes orally. The points were presented individually from each country (1-7 shown on screen. 8, 10 and 12 orally). First the jury points were presented individually from each country (1-10 shown on screen. 12 orally). After that the results of all the televoting from all the countries were bundled and given combined. If there was a tie between two or more songs in a country, when the combined calculation between televotes and jury votes, the song which obtained the most votes from the televotes would be ranked highest. If a televoting failure occured in the country or if a country wasn't big enough to provide a valid televoting result, a backup eight-member jury were used instead by the country. If a televoting failure occured in the country, if a country wasn't big enough to provide a valid televoting result, or if the country's televoting result wasn't approved, only a jury was used by that country. If a jury failure occured in the country or if the country's jury result wasn't approved, only televoting was used by that country. If a country wasn't big enough or if a country couldn't deliver a valid televoting result, the televotes would be made up by a "substitute result" calculated by a pre-selected group of countries.